There are so many people in the Black Community will give you so many excuses of why they didn’t follow their dreams. They will blame the white man for not following their dreams. They will let obstacles get in their way. They will let so called friends to make their decisions for them. Some will talk about their dreams but they won’t put it into action. Some even will let their past hold them back. As we are in our last week of Black History Month lets just remember that we have a lot to be thankful. Look how far we as the people had come from. We need to stop blaming other people for not following our dreams. Today in 2013 there are so many opportunities especially in the Black Community. We even have a Black President that is serving his second term right now. President Obama didn’t let anyone or any obstacles from preventing him to run as President. We can’t keep on blaming the white man for not going after our dreams. The blame lied on us. It is our own choice that we aren’t pursuing our dreams. There are people that will tried to interrupt those who are following their dreams. 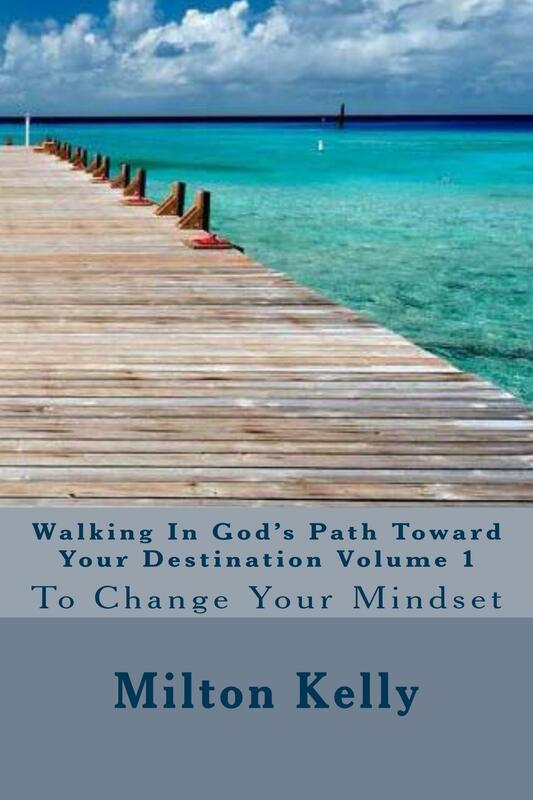 When I had decided to write my first book “Walking In God’s Path Toward Your Destination Volume 1” To Change Your Mindset that there were some wasn’t happy about that at all. They had tried to interrupt me in writing my book by saying that being an author is not consider a job. I had told them that being an author is a full time job rather I want it to be or not. 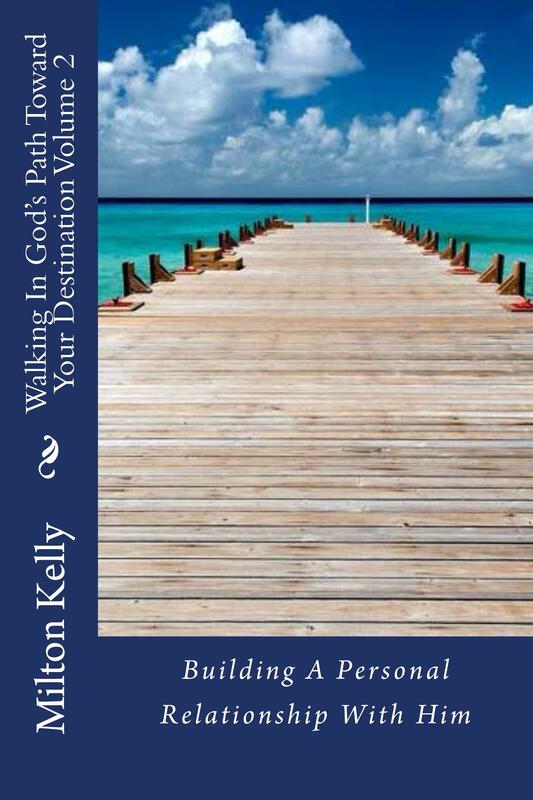 Everyday that I market my books to create sales is consider me working. I am receiving income from my books. Some in the black community had the nerve to tell me to apply for welfare and food stamps instead of congratulating me in my accomplishment. I had ignored all of their attempt and kept on writing. Today I have three published books in the market online. People will tried to interrupt you from achieving your dreams because they didn’t have the courage to follow their own dreams. They really don’t have an issues with you but themselves. They are telling their own story that they didn’t take the necessary steps in making their dream become to reality. Lets keep in mind for Black History Month and beyond that if you don’t have the guts to achieve your dreams then you don’t have anyone or anything to blame but yourself. If you take the necessary risks to achieve your dreams then you will have many reasons to be proud of all of your accomplishments. One of the reasons that you should be proud that you know that you are the Child of the King and you are willing to make a choice to take a chance of achieving your dreams. You have a choice that you need to make.The Choice is just simple: Either You Want To Give Up or To Become Successful by Achieving your Dreams. It’s Up To You! In honor of Black History Month lets us start to embrace the color of our skins. I have a friend that will tell me that he is ugly because he is too dark. I had told him that you need to get rid of those negative thoughts about yourself. You are not ugly at all. You should be very proud of your dark color skins and your black culture. There are some us that will dislike our own brothers and sisters because of the color of their skins. You will have people who are light skin hating people who are dark. Also you will have people who are dark skins that don’t like people who are light skin.We should all get along with each other regardless the color of our skins. Do you know that Black is Beautiful. In our race we have different color of shades and we should embrace them all. All shades of Blacks are beautiful. Then you have some people are ashamed of being black and end up hating the Black community. You should be very proud of your culture. You should not pretend to be something that you are not. Remember God had made you who you are and you need to embrace it. You should not let anyone call you ugly because you are light or dark. In God’s eyes you are beautiful and you should be very proud who you are. Remember embrace of who you are because you are a child of the King. It is so amazing that how we had forgotten how far the Lord had brought us from. Back in the days we in the Black Community didn’t have much but we were there for each other. If someone in need of food, clothes, jobs and other things that we would provide it without any judgment. We even went to Church to worship our God. The Church was packed that you have to get there early. Now in today’s world you see how the Lord had blessed us with different opportunities that we weren’t allowed due to the color of our skin. Some of us seem to forget what our people had to deal with the civil rights movement. You see now how we change in our attitude when we get a degree and we look down on others that have less than we have. We don’t want to help them but all we want to do is give them a hard time because they are going through a hard time. Even today the Lord had blessed us with a better life that we don’t have time for God. We don’t even thank him for all the blessings that he had restored upon us. Please don’t forget to remember where all your blessings come from. During Black History Month let us remember on all the contributions of our fore parents who had shaped and molded us who we are today. We also should remember of those seasoned church members who had always prayed for us out of situations. They knew the Lord for themselves because they had a personal relationship with God way before we started singing gospel music. What they had back then was good because they knew the Lord. I got news for you God is Good today. We should thank God for those season saints who had gone before us. They had to rest from their labors and their legacy will follow them. My question for you is “What legacy are you going to leave behind for our next generations? Why is it that every race seems to stick together but black folks? And what can we do to change this? As we celebrate Black History Month we need to remember how far that we had come from. It seems that every race will stick together but black folks. My question is why is that? We don’t want to work together. We don’t want to support each other at all. We even don’t want to help each other in the community. We have Black Business not only in the Black Community but in other areas as well. We won’t support them at all. The one reason is that we won’t support Black Business is because some of the business have a lack of great customer service. One time I had went to a restaurant that only have take out menus. I had asked the woman behind the counter can I please have a menu. She had told me that I could look at the menu on that dirty wall. My response was just to turn around and I had just walked out. To the Black Business Owners if you want to stay in business then you must have great customer service. To the Black Consumers you can expect the Black Business Owners to give you their products or services for free because the purpose of being in Business is to make money. 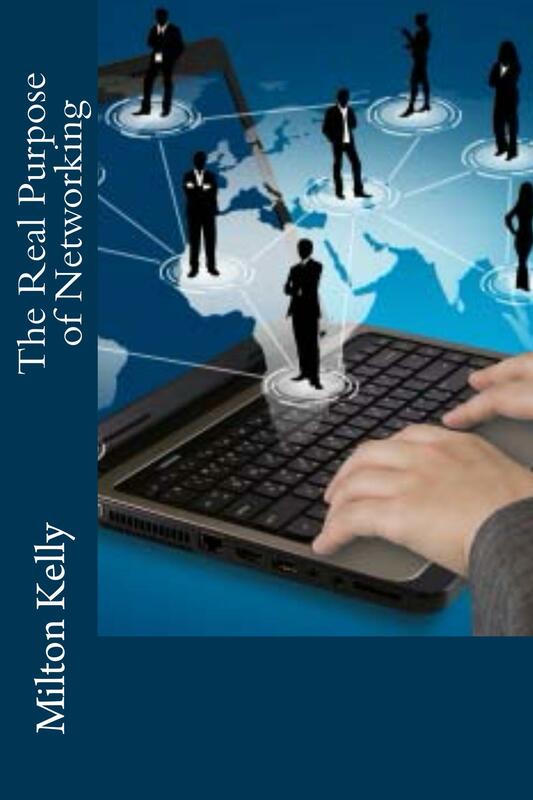 Another problem that we have in our community is that we don’t know how to network. We need to learn on how to network by building solid relationship. In this world if you want opportunities you must learn how to network. People will help others that they know and trust. Other races like the Jews and the Hispanic they always working together to help one another. If they know somebody that need a job they will tell them about job openings at their company. We all busy being jealous of one another and there is no reason for that all. If a black individual have make an effort to improve their life then somebody from our community will tear them down. I should know when I had started to write my first book everybody wasn’t happy for me. Some were mad at me because they had thought I was all about talk but I had put my vision into action. Some of us would love to keep us down and don’t want to move forward. Some will tell you that you should go on welfare and food stamps. You can’t stay on government assistance forever because eventually you are going have to create your own opportunity. Also if the Lord had bless us with a College degree or a successful business that some of us don’t want to give back to the community. If you know some information or resources that could benefit somebody in need please share it with them. Just like somebody had helped you then you should do the same for others. When you are helping somebody that you are giving back to your community. In honor of Black History Month we should not forget to pay honor to Robert L. Johnson who was responsible to be the first black person to start a black owned television network known as today (BET) Black Entertainment Television. He had paved the way for African Americans such as Tyler Perry, Oprah Winfrey, Magic Johnson and others that have their own television network. Robert L. Johnson was born in Hickory, Mississippi on April 8, 1946. He is an American business magnate best known for being the founder of television network Black Entertainment Television (BET). Robert is the visionary behind launching the nation’s first black owned cable television network along with his ex wife Sheila Johnson. He had owned the first black owned cable television network from 1980 until 2000. BET reaches more than 65 million U.S. Households and expanded into other BET-related television channels that make up the BET Networks: BET Jazz, and digital cable channels BET Hip-Hop and BET Gospel. In 1990 BET’s initial public offering attracted $72 million. Ten years later Viacom had purchased BET from Robert Johnson for $3 billion. He was also the former chairman and chief executive officer of Black Entertainment Television (BET). Currently Mr. Johnson is the chairman and founder of RLJ Development and former majority owner of the Charlotte Bobcats a NBA Franchise along with rapper Nelly and NBA Legend and current majority owner Michael Jordan. Johnson had another history by in 2001 by being the first African American billionaire and the first black person to be listed on any of the Forbes world’s rich list. Today Johnson’s RLJ Companies include hotel real estate, private equity, consumer financial services, asset management, sports and entertainment investments.